Home > Printable Coupons > Printable Coupons: New & Refreshed Glade Savings! 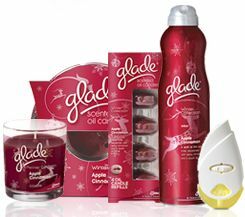 Printable Coupons: New & Refreshed Glade Savings! Glade just recently uploaded a lot of new coupons, as well as refreshed prints for their preexisting ones! This is a fun, cheap way to smell up your house for the upcoming holidays, so take advantage of these savings!